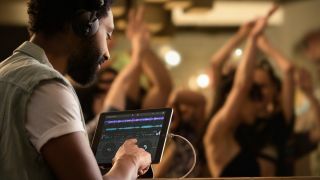 NAMM 2019: Built on an entirely new code base and promising an easy-to-use workflow, Traktor DJ 2 represents Native Instruments’ attempt to unify the DJing experience on PC, Mac and iPad. This is the first Traktor that’s been designed to run on both desktop platforms and iOS, and offers smart track recommendations and integration with the SoundCloud GO+ track library. There’s a new look and feel, and NI says that the design means that it’ll be able to expand the platform over time. Traktor DJ 2 is compatible with the Traktor Kontrol S2 controller, and will be included with it when it’s released in the spring. Mk3 S2 owners will also get it as a free download, while everyone else will be able to purchase it from the NI Online Shop and Apple App Store. Find out more on the Native Instruments website.